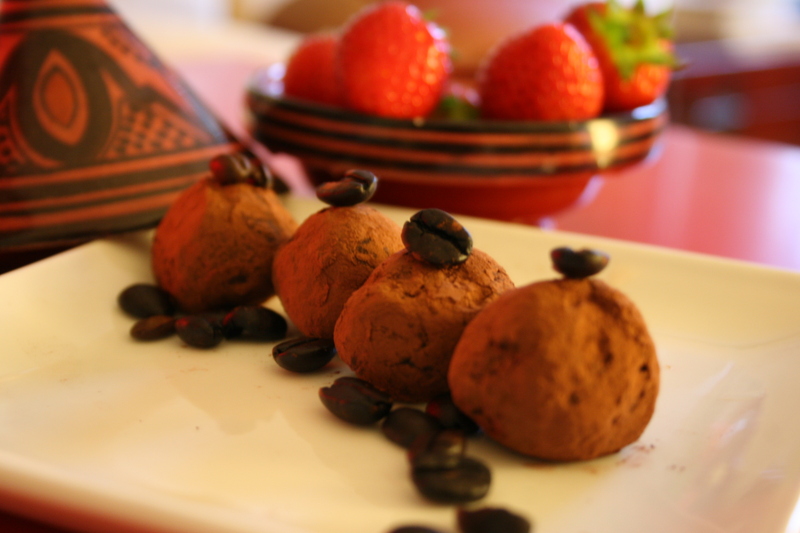 Mexican Dark Chocolate Espresso Truffles – Ole! Sometimes I wish I drank more often. No, really. I feel like if I did, I would have this wonderful pantry full of liqueur to use in my baking recipes. This recipe calls for (an irritatingly small amount of) Kahlua, and it just didn’t seem worthwhile for me to buy some to only use 1 tablespoon of it. Why are these truffles Mexican? Not because they are spicy, but because I made them in honour of a Mexican friend of mine. They are a perfect sweet treat to have with an after-dinner cup of tea or coffee ( or, if you are so lucky, Kahlua?). Enjoy!